Dynamos clinched their first win of the season when they beat Mutare City 2-1 at Sakubva Stadium. Dembare took lead in the 6th minute through youngster Kudzanai Nyakasuka. Despite the goal Mutare City remained in the game for most of the first half causing a few anxious moments for Dynamos. At the start of the second half Rodreck Mutuma for Nasama. Mutuma wasted a good chance in the 74the minute before making up for it with the second in the 81st minute. Mutare City scored a consolation just before the final whistle through Kuda Gurure. The victory eases the pressure on head coach Paulo Jorge Silva who now has to win their next two games to keep his job for now. At Barbourfields Stadium Tsholotsho took an early lead but ended up on the losing side against Highlanders. Tsholotsho skipper William Stima gave scored from a free kick on 4 minutes. However the lead was short lived as Knox Mutizwa scored the equaliser. The teams went into halftime with the score line still 1-1. In the second half Erok Akbay introduced Prince Dube and the move paid off immediately when Dube scored in the 63rd. Highlanders held on to claim the three points. At the National Sports Stadium CAPS United put a bad week behind them when they came from behind to beat Harare City 2-1. 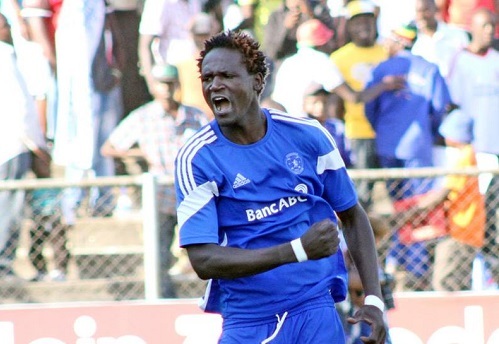 Honey Chimutimunzeve scored Harare City’s opener after only 90 seconds of play. CAPS United though equalised through Joel Ngodzo on the stroke of halftime. Dominic Chungwa struck the winner in the 57th minute after some fine play by an impressive Tafadzwa Rusike. In other matches Border Strikers slumped to another defeat as they lost 1-0 to Triangle at Gibbo Stadium while Hwange registered their first win with a comfortable 2-0 win over Ngezi Platinum.